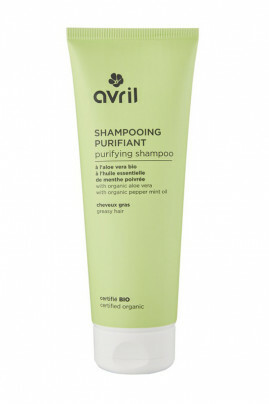 Say stop to greasy hair with Avril Organic Greasy Hair shampoo ! Enriched with organic nettle and aloe vera, it regulates sebum production and soothes your scalp. With Avril Natural Shampoo for Oily Hair makes your hair soft and light ! Avril Shampoo for Greasy Hair gently regulates sebum production ! Moist your hair, apply a nut of Avril shampoo Greasy Hair. Let it foam. Avoid rubbing too hard your scalp, it excites the sebaceous glands: your hair will be greasy faster ! Finally, rinse thoroughly. Only natural ingredients in Avril Shampoo for Greasy Hair ! Aqua (water), aloe barbadensis leaf juice*, ammonium lauryl sulfate, coco-glucoside, cocamidopropyl betaine, decyl glucoside, inulin, zinc pca, glycerin, tropaeolum majus extract*, urtica dioica (nettle) extract*, nasturtium officinale extract*, parfum (fragrance), sodium chloride, citricacid, tetrasodium glutamate diacetate, sodium benzoate, potassium sorbate, limonene, linalool.